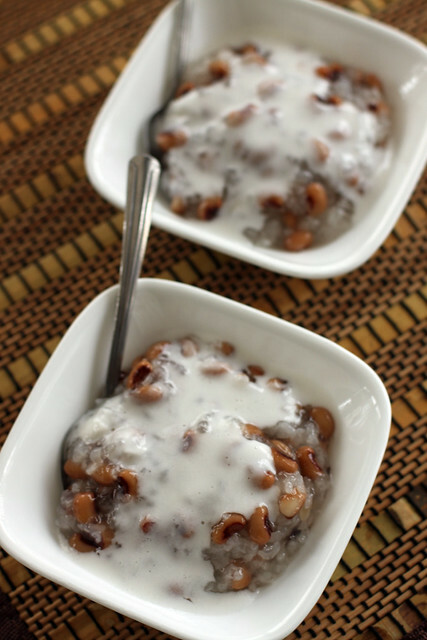 I noticed that in Vietnamese cuisine, beans are commonly found in sweet desserts like chè. 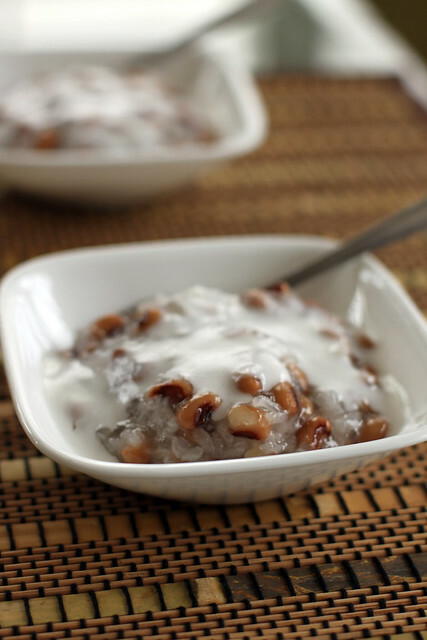 Chè is a type of sweet Vietnamese dessert normally prepared with a glutinous sweet rice or tapioca base. 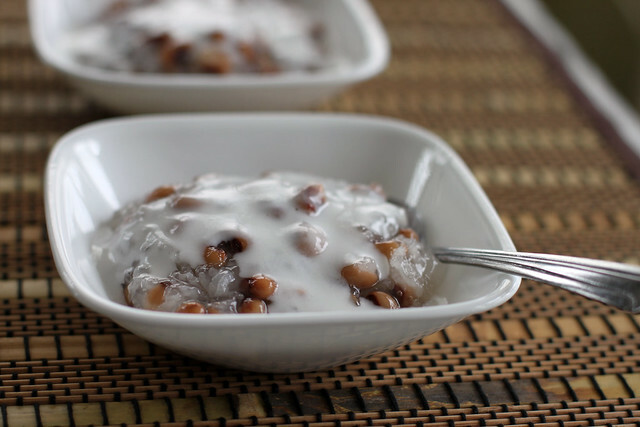 It is cooked and combined with beans and topped with a nice dose of rich and creamy coconut creme. It is such great filling snack and can also be enjoyed as a full meal and served hot or cold. 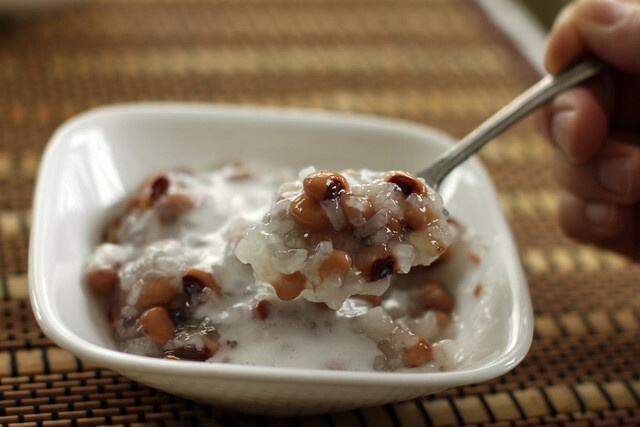 Chè Đậu Trắng is made with glutinous sweet rice and black eyed peas and is one of my favorite Vietnamese desserts. Before I moved out of my mom’s house, this was one of the recipes I wrote down and took with me. It is simplistic, delicious and very satisfying – perfect for any sweet tooth. It is also a super popular dish to bring to family parties, people will love it and eat it up! 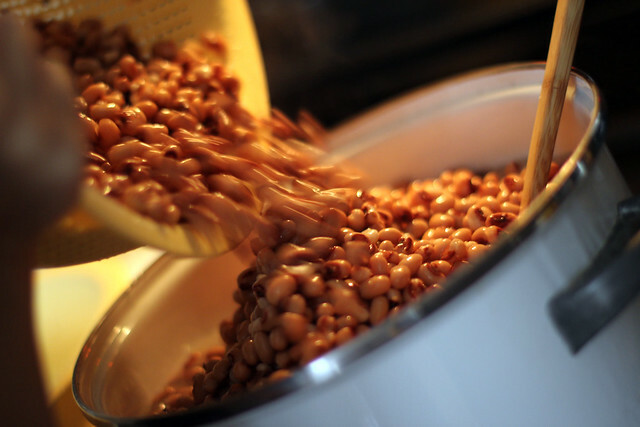 Drain and rinse canned black eyed peas until water is clear and set aside. Soak small tapioca pearls in a bowl of cold water. 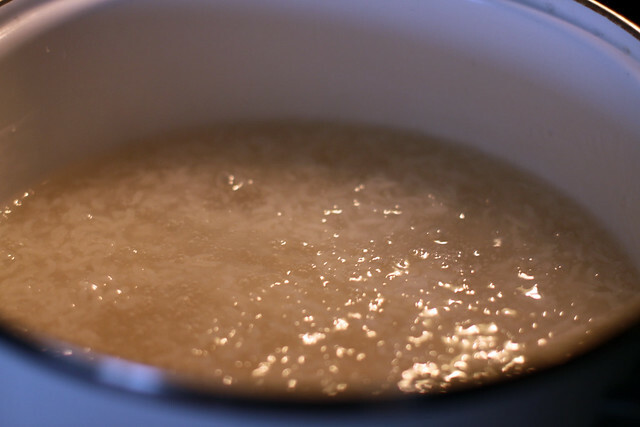 In a stock pot, bring sweet rice and water to a boil. Reduce heat to medium heat for five minutes. Drain small tapioca pearls and add to stock pot and stir. Cook on medium heat until tapioca pearls become translucent. 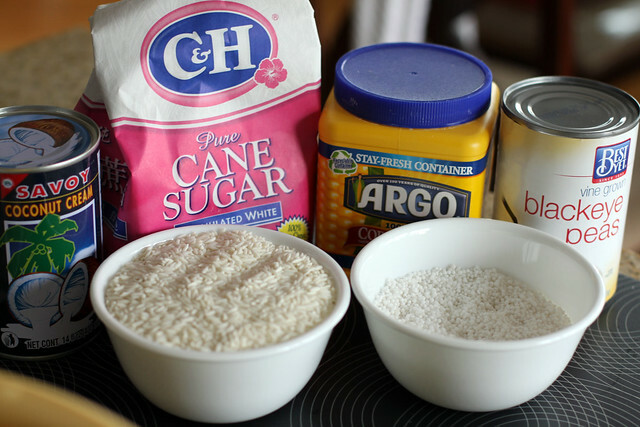 Fold sugar, salt, and cornstarch into the stock pot slowly until combined for a few minutes. 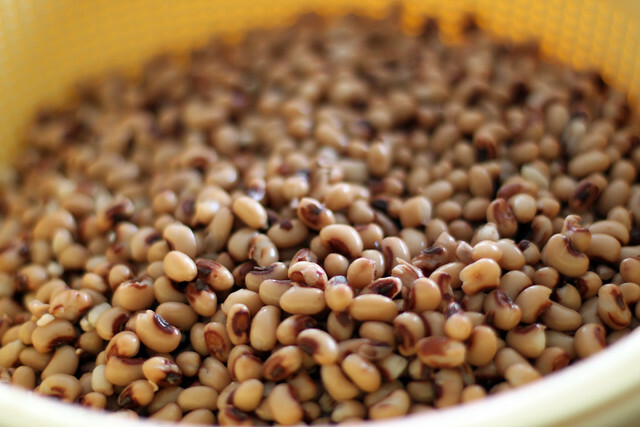 Turn heat to Low and slowly fold in black eye peas. To make coconut cream sauce, combine all ingredients in a saucepan on Medium heat and stir until ingredients combined. Scoop chè in a small bowl and top with 1-2 teaspoons of coconut creme and serve.